Midnight Madness, in "Our House", "In The Middle of the Night". 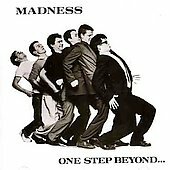 I never thought I'd use a lame 80s band like Madness as an intro to the 2006-2007 season. Oh my. But who cares because MU's hoops prospects are rightly "The Land of Hope And Glory"anyway. Thankfully, it's time to roll out the ball rack and unveil the 2006-2007 vintage of Marquette basketball. Tonight MU will host its annual Marquette Madness soire, a feast for the famished basketball masses that'll include a first-class, high-energy program capped by the ever-popular slam dunk contest. If you want to watch tonight's event, check out Marquette All-Access at CSTV. Channeling FEMA, CSTV unforutunately requires folks to use the Convicted Monopoly's browser to make the feed work. As well as Crean has recruited since the Dwyane Wade era, an urban, Jesuit school in the upper Midwest still has the kind of challenges that Duke, Kentucky or North Carolina rarely encounter. The commitment given Crean is another way to ensure that Marquette will remain competitive for the bluest of chips on the high-stakes recruiting table. "If certain people still want to negative recruit, they can do it," Crean said. "But in the sense of having any validity to (me) leaving or entertaining other jobs, there's really no validity to that. "The counterpoints we go against consistently are still going to find negative ways to recruit, but what it does is it breaks down their trust level. Go show (recruits) the article where I went to interview somewhere. It's not possible to do that." Bingo. Even a serial rumor-monger like Andy Katz (begrudgingly?) admitted in a blog several weeks ago that Crean was not likely to leave MU because of the fantastic environment he's helped create on West Wisconsin Avenue.